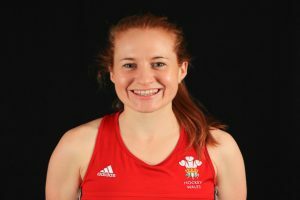 New Leadership Group for Wales Women’s Hockey Team! With the departure of Abi Welsford as Captain announced last week, Head Coach Kevin Johnson and the playing group have opted to review their leadership structure as the group look forward to the Commonwealth Games and World League round 1 in 2018 and beyond. Speaking about the future Johnson has emphasised that as a squad, it’s vital they continue to be aspirational about their development and remain focused on open and honest reflections on their growth as a group. This led to the process being driven by the playing staff to ensure that all had a voice. 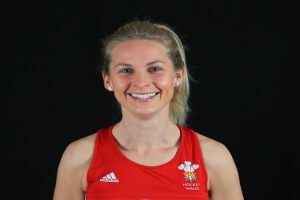 The new leadership structure will see Leah Wilkinson step up to the position of team Captain; a decision Johnson feels Wilkinson rightly deserves after a string of solid performances and results these past couple of years. “I’m delighted for Leah that the team have wished for her to step up from her previous role as Vice-Captain to take the Captaincy. 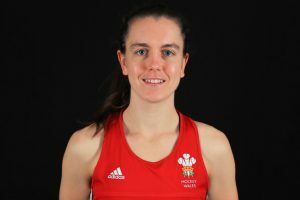 As a current joint caps record holder for Welsh women’s Hockey, she deserves her chance to lead the team outright and will bring her own style of leadership to the role as we move into our next period of development”. “To be able to lead my country and this group of incredible women is a real honour and one I am very proud of. For the past 4 years I have had the role of Vice-Captain under Abi Welsford; an inspirational leader and a true role model and I hope that I can take many of her leadership qualities into the role. It’s an exciting time for the squad with the Commonwealth Games in April, the World League in September and Europeans in 2019. We have a great mix of youth and experience and both the management and the group have a real vision of how we want to play. With hard work and dedication, I’m sure we can reproduce and build on our successful 2016-2017 cycle. The future is certainly a positive one and one I am thrilled to be involved in”. The process has also seen talented midfielder Sian French appointed Vice-Captain, a move that Johnson feels will be a huge benefit to the squad. 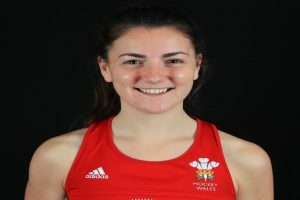 “Sian has been one of our most consistent performers on pitch in the last couple of years and carries much authority as a respected senior player. I’m pleased she’s now made the step up to Vice-Captain. The side and I feel certain she’ll continue to represent the team positively as both a player and leader”. Alongside Wilkinson and French, the group have selected GB athletes Sarah Jones (sponsor Williams Lester) and Beth Bingham to complete the leadership quartet; thus, forming the new leadership structure.